Powered by Mom Blog is part of the Holiday Review Giveaway! Who needs some extra cash for the Holidays?! Everyone Right! We want to help out a little and give you a few great ideas on some items you may want to purchase for the holiday season. This giveaway is very easy to enter. A group of fabulous bloggers have gotten together to share their Holiday Gift Guide Reviews with you. All you do is read a review then leave a meaningful comment about the review. Hopefully we will give you some great gift ideas! You can leave one comment a day on each blog each counting as an entry. The prize is $50 USD paypal or Amazon Gift Card! Open world wide. 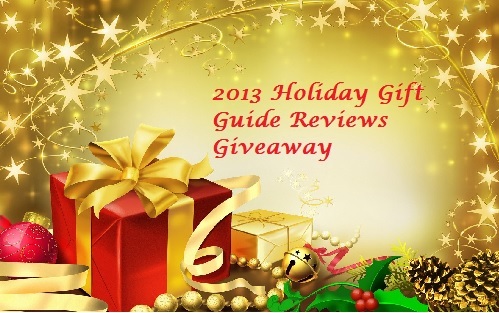 Giveaway Ends Dec. 2, 2013, at 11:59pm est. I left a comment under the kids gifts with the name Claiborne. I LOVE Amazon & shopping there. So I would be thrilled to win this giveaway…I would get some gifts for my son & my daughter if I won. I love Amazon GC’s. I always try to get them for my daughter and granddaughter who love reading and have huge wish lists on Amazon. Thanks for this chance. Happy holidays. I read about the Leapfrog LeapPad Ultra learning tablet-green. I love that it comes in pink, it has parental safety settings and that the battery is rechargable because I hate buying batteries! Hey Jenna, unfortunatley we don’t have the LeapPad on our gift guide, you need to leave a comment on a gift guide review that’s on our gift guide for your entry to count. Thanks and good luck!